Can you get rid of hirsutism? Yes. 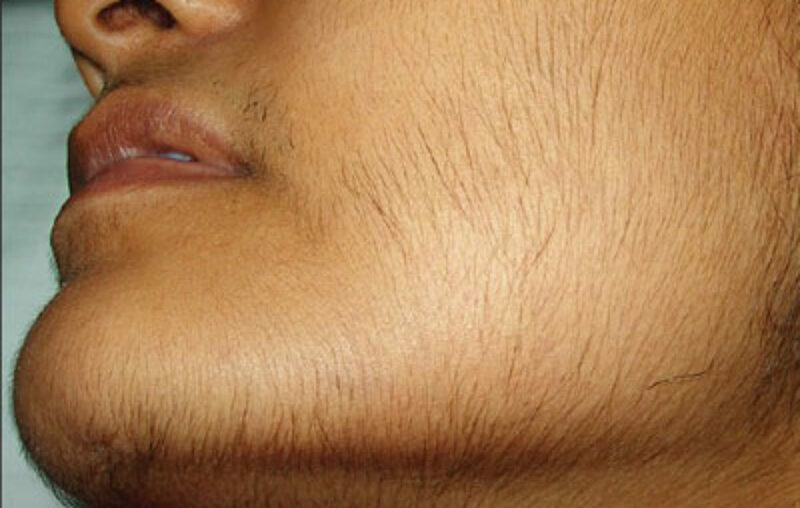 There are medications, procedures, therapies, special diet, and herbs to help you remove facial hair permanently. Laser hair removal is another way how to get rid of body hair permanently. It consists in using laser light to damage the hair follicles. Multiple laser treatments are required before the desired results are achieved and your body is free of unwanted hair. This is also an expensive method as well. Skin redness, scarring and even darkening or lightening of the skin are possible side effects of laser hair removal. Certain medications are used for the treatment of hirsutism. Doctors usually recommend anti-androgenic medications which work by blocking the male hormones known as androgens in the human body. Common anti-androgenic medications recommended for the treatment of hirsutism are finasteride or spironolactone. It will take about 3 to 6 months for these medications to work. Anti-androgenic medications will decrease the amount of new hair in your body, but less likely will have any effect on the amount of hair you already have. Also, these medications can lead to birth defects, so while on anti-androgenic medications, it is recommended to take birth control pills as well. Birth control pills are other medications often recommended for the treatment of hirsutism as they can decrease the levels of androgens in the body. These pills are especially useful for women who do not want to conceive in the nearest future. Birth control pills can be prescribed alone or in combination with anti-androgenic medications mentioned above. Eflornithine is a prescription cream which works by slowing down the facial hair growth. It will take about 4 to 8 weeks for this cream to be effective. You should apply Eflornithine regularly on the affected skin of your face, chin, chest or abdomen. Stinging sensation, rash or even skin irritation are possible side effects when this medication is used for the treatment of hirsutism. Drink plenty of water a day, at least 6 to 8 glasses. Exercise regularly at least 30 minutes a day, 5 days a week. Avoid refined foods such as white bread or pasta. Avoid eating red meat; instead, choose lean meat. Consume healthy oils such as olive oil, and vegetable oil. Eat fruits and vegetables known for their anti-oxidant properties such as tomatoes, bell peppers, squash, cherries, and blueberries. Avoid or completely eliminate trans fats, processed foods and other unhealthy foods from your diet, etc. If you are overweight or obese, you should lose some weight as soon as possible. By losing weight you will reduce the amount of male hormones in the body which have a significant role in hair growth. You probably know that herbs are very beneficial and recommended for the treatment of different medical condition. When it comes to dealing with hirsutism, herbs can help as well. However, before trying any herb for the treatment of hirsutism, you should consult with your healthcare provider first. Spearmint tea – When consumed twice a day, only one cup can help women deal with hirsutism. It has been estimated that spearmint tea reduces the levels of free testosterone in the woman’s body, reducing this way the signs and symptoms of mild hirsutism. Women dealing with PCOS will also have lower androgen levels of you drink spearmint tea on regular basis. Saw palmetto – It is known for its anti-androgenic effects in the human body, which means that it will lower the levels of male hormone in a woman’s body. Saw palmetto is also recommended for the treatment of PCOS even though its effects have not been studies correctly and that so far no scientific evidence proves that saw palmetto works. When taking saw palmetto as the treatment for hirsutism, you should be aware of the fact that saw palmetto can increase the risk of bleeding. For this reason, you should consult your healthcare provider first, especially if you are already on blood thinning medications. Lavender and tea tree oils – They are used only topically on the affected areas where there is an excessive and abnormal hair growth on the face, chest or abdomen. These oils can reduce mild hirsutism, even though it is not known how they work. Chaste tree – It is also known for its anti-androgenic effects. One thing to be noticed before taking chaste tree herbs is that chaste tree can interfere with some Parkinson medications, as well as, antipsychotic drugs. Consult with your healthcare provider before using the chaste tree for the treatment of hirsutism. Black cohosh – This is another herb known for its anti-androgenic effects. Remember that black cohosh can increase the risk of blood clots. Also, black cohosh should not be used in cases when you have liver disease. Consult with your healthcare provider first before using black cohosh for the treatment of hirsutism. How to get rid of hirsutism permanently? According to some recent studies, acupuncture is one of the ways that could help you get rid of hirsutism. It has been estimated that acupuncture reduces the levels of testosterone, the male hormone in the woman’s body. Acupuncture also reduces the hair density and hair length in women. However, more research is needed in this field.